Every year you can count on at least one breakout star to emerge, and early on the frontrunner has to be Jessica Williams who lights up the screen in Jim Strouse's funny and engaging The Incredible Jessica James. Strouse, who gave Jemaine Clement the role of his career with People Places Things, finds a similarly warm-hearted beat with Williams and her unexpectedly terrific partner-in-crime, Chris O'Dowd. While some may balk at the idea of those two ever becoming romantic partners, that they fit like puzzle pieces is just one of the film's many welcome charms. Williams had a supporting role in Strouse's previous film and even there she was a force of energy; but here she takes full command as Jessica James, who on the surface sounds like an indie movie cliche of the worst type. A New Yorker and wannabe playwright, Jessica is coming out of a bad breakup with her boyfriend David (LaKeith Stanfield), while also dealing with rejection from the most prominent theater groups. To get over it, she agrees to a date set up by her best friend (Noel Wells), which turns out to be with Boone (O'Dowd), a recent divorcee. Not that she cares about that, it's just the two are basically polar opposites and race isn't the issue. She's frank, aggressively honest (she insists upon it) and feminist, and more than a little stubborn. Boone is quietly hilarious, whose self-deprecating humor is as much an emotional barrier as it is his most disarming trait. The night goes better than either expected; surprise booty calls follow, along with visits just to walk and talk or fail miserably at roller skating. They aren't quite lovers but they aren't just friends; which makes things awkward when their respective exes still weigh heavy on the mind. It all sounds so conventional, doesn't it? But what changes things up is Williams, who imbues Jessica with a confident swagger that is infectious. When she tells Boone at one point, "Of course you like me. Everybody does. I'm dope! ", it isn't just arrogance, it's the truth. We love her and all of her braggodocio, but it's the layers of depth Strouse and Williams give her that make Jessica so irresistible. We learn of her upbringing in Ohio and subsequent flight to New York to escape them (Apparently that's every New Yorker's story), and the deep passion she has for theater. She works at a non-profit teaching kids how to develop their own plays ("So how do you pay the rent", Boone quips), but it's clear they are a mechanism for her to work out her own issues. Only in Jessica's occasionally heated interactions with her students does the film feel less than complete. It only serves as a reminder that the slight runtime wasn't enough to adequately show us who she is as a playwright, or why exactly it means so much to her. An ecounter with Tony Award-winner Sara Jones (playing herself) is disappointingly shallow when it should have been key character turning point. This is the love of her life, but we never learn why it motivates her to the extent it does. It's refreshing that Strouse gives Jessica something besides a man to be impassioned about, though. While Strouse does occasionally wade into treacly rom-com territory, Williams and O'Dowd's emotionally raw performances always keep the film grounded where it belongs. 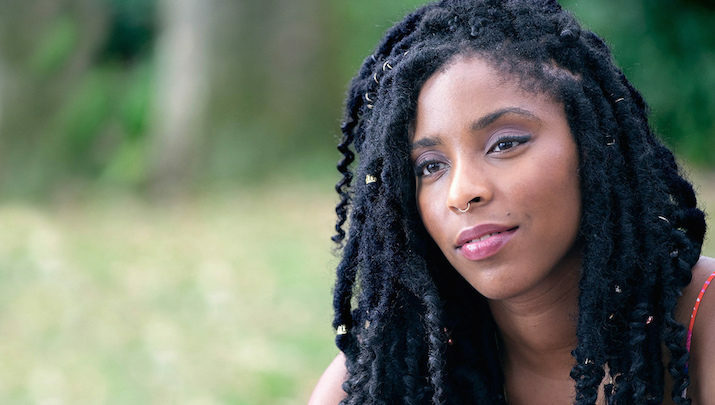 Williams may ultimately be the most unforgettable thing about The Incredible Jessica James, but it may be just the first step to even greater roles where her special talent can shine.